« Toulouse en Transition à l’échelle des quartiers! We’re here at the Greening the Desert site (near the Dead Sea in Jawasari, Jordan), working hard to prepare for what looks to be a very busy October: We’ll start with a packed-house PDC, followed by a 2-day “Going Off-Grid Solar Power” workshop, capped off with a 4-week Greening the Desert Internship. Although we’re at-capacity for the PDC, we may have a few spots still open for the other two events. If you have an interest in any of these and can manage to skip on over to Jordan, we invite you to join us. And if you can’t make it to Jordan, stay tuned for next week’s Friday Five, when I’ll be sharing details about our upcoming online “Permaculture Design Certificate 2.0” course. Here’s a hint of what’s to come: We’ll be opening enrollment in less than a month (!) We had more than 1500 students when we first quietly launched this in late 2016, and are looking forward to another wonderful group of students ready to change the world. 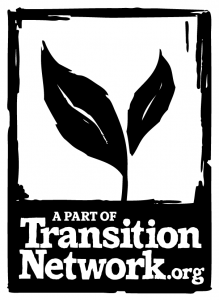 If you want to get on the early notification list (which entitles you to priority, guaranteed enrollment, a tuition discount, and a wealth of “early bird” additional permaculture resources), please click here. Greening the Desert update: Legendary business guru Peter Drucker once said, “We greatly overestimate what we can do in one year. But we greatly underestimate what is possible for us in five years.” Drucker is absolutely right: We often get overly-excited about short-term projects, but lose stamina with long-term ones, and it’s usually with the latter that the most meaningful results can be found. But with the Greening the Desert project, I’m amazed at what’s happened in the last 5 years AND in the last year :) I had a chance to do a “quick” (20 minute!) video walk-through of the property last week, and just posted it to our YouTube channel here and Facebook page here. In the text area below the video, we include the names of the food forest plant list — approximately 60 different varieties. My apologies in advance for the less-than-stellar quality of the video; I grabbed my phone and kept it casual with a run-and-gun style. We’ll endeavour to shoot something a bit more in line with our regular, more polished videos in the weeks ahead. In the meantime, enjoy! So that’s how they did it: Speaking of polished video…From a piece I came across in Wired magazine: “At a certain point, you think you have a good grasp of what to expect from weather graphics. A color-coded map, a five-day forecast with a sassy cloud. Which might be why the Weather Channel’s 3D, room-encompassing depiction of the Hurricane Florence storm surge took so many by surprise. It doesn’t tell, it shows, more bracingly than you’d think would be possible on a meteorological update. Here’s how they did it.” Full article, and (in case you haven’t seen it yet) the mind-blowing video itself, can both be seen here. Favorite instagram pics: I normally highlight just one photo, but I’m going to cheat a bit and share two. The first is of our team back in Australia making me jealous by showing off a freshly harvested bowl of black and white mulberries during our group Skype call (they looked tasty!). The second is a short 30 second video of my “morning walk to work” here in Jordan. PS: Again, if you’re in or near Jordan, come on down — we’d love to meet you!